He was born in 1981, in Varna, Bulgaria. A small country in southeast Europe that is more than 1,300 years old. He has practiced photography since 1995. 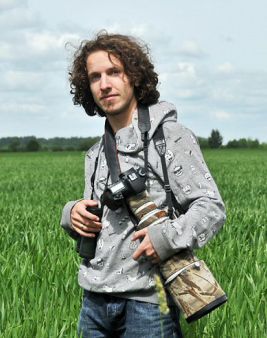 His favourite genre is nature photography. Founder of NatureTravel.eu - small cottage which is located in remote area called "Suha reka". NatureTravel.eu provide wildlife photography, photo tours and workshops in very quite and wilderness for birds area. Some of the video footage can be found on wildlifevideos.eu. His video was selected and wins the second prize in contest for video clip of regional brand "Strandja" as representative of Strandja Nature Park. 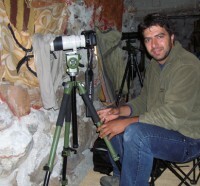 Member of Bulgarian Society of Protection of the Birds (BSPB). Since the year 2000, in parallel with his photography activity he has worked in the field of prepress and design like manager of Pulse advertising. "Academic Dechko Uzunov" - Kazanlak, specialty "Fine Arts". Technical University of Varna, specialty "engineering design". Currently lives and works in Varna as a graphic and web designer in advertising agency "PULSE Design". Boris Belchev was born on 3 August, 1985 in Pleven, Bulgaria (town in central north part of the country). Soon after he graduated from "Stoyan Zaimov" school in Pleven, where he specialized with Biology and German, he started a Bachelor in Biology in Sofia University. A year and a half into his studies, because of his passion for adventures and his childhood dream to become a wildlife photographer, he found himself in Denali National Park, Alaska. At present, he lives in West Lithuania with his wife, Simona Belcheva, also a passionate photographer. Since 2014 he is Bachelor in Ecology from Vytautas Magnus University in Kaunas, Lithuania. 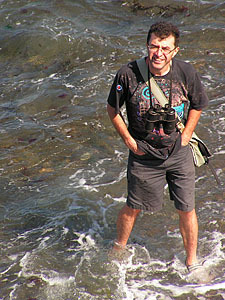 In 2005 Boris joined the Bulgarian Society for the Protection of Birds (BSPB) as a volunteer, and ever since he systematically observes and photographs birds, and takes part in monitoring projects. So far Boris has participated actively in two seasons of the CBM project , four seasons of MWWC (Mid-winter Waterfowl Count) and various others Nature Conservation Projects organized by BSPB and LOD. In 2009, Boris Belchev won the September Wild Wonders of Europe Online Photo Competition, and his photo was in the top 3 of the Grand final. 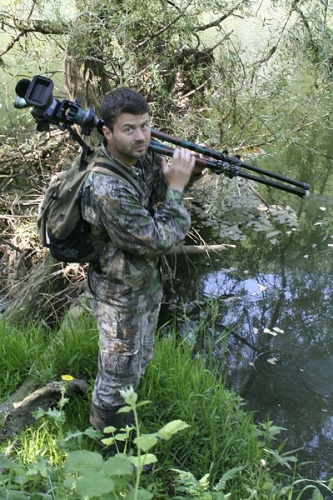 Boris hopes that his photographs will contribute for the conservation of wildlife and Nature in Bulgaria and Lithuania. My name’s Svetoslav and I was born in 1976. I'm living in Sofia, the capital of Bulgaria. I’ve been passionately interested in nature and wildlife my entire life. That’s why I studied Biology at Sofia University and after graduation I had the opportunity to start working for the biggest nature conservation NGO in Bulgaria - the Bulgarian Society for the Protection of Birds / BirdLife Bulgaria where currently, I’m working on Life+ project for conservation of Imperial Eagle and Saker Falcon in Bulgaria. I was born on 18.12.1973 in Sofia, Bulgaria. Graduated with MSc in vertebrate zoology from Sofia University in 1997. 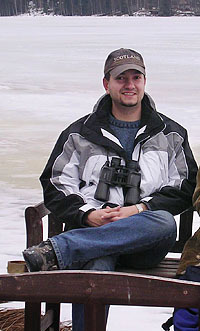 In 2004 completed a PhD (Ecology of Ferruginous Duck and Common Pochard during breeding season) at the Central Laboratory of General Ecology of the Bulgarian Academy of Sciences. Specialised in waterbird, bird ecology and habitat selection. 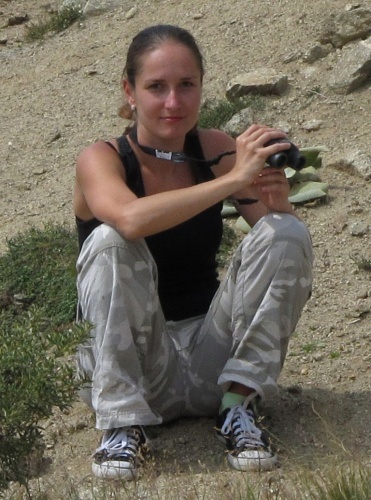 Since March 1989 member and volunteer of the Bulgarian Society for the Protection for Birds/BirdLife Bulgaria working in most of its field projects and leading some, sitting on the Executive Board for 2 terms. My last position there was Conservation Director till 2007, while previously worked there for many of the field projects. In the period 2007-2010 I was based in Netherlands and worked as a Critical Sites Network Officer at Wetlands International. Now I am back working in Bulgaria and coordinate the AEWA Red-breasted Goose International Working Group. My photos are mostly intended for the needs of conservation work and for pleaseure. IT guru who help us with the creation and programming of some of the functionalities in the website.